Wine and cheese get better with age. Coffee, once it has been roasted, gets worse — it picks up bitterness and aftertaste and loses its powerful aroma and flavor. In a word, it gets stale and nasty (OK, that’s two words). If you keep your beans in an airtight bag or container, you can enjoy the wonderful benefits of fresh roasted coffee for about one month. After that, air and time, the sworn enemies of coffee, take over. If it does not have a one-way degassing valve (a little ring near the top with a pin hole in it), the batch must have been bagged at least three days after it was roasted (beans give off C02 for 48 hours after roasting and the valve lets the gas escape without letting oxygen in) — which is a sign that the roaster does not really care about freshness. 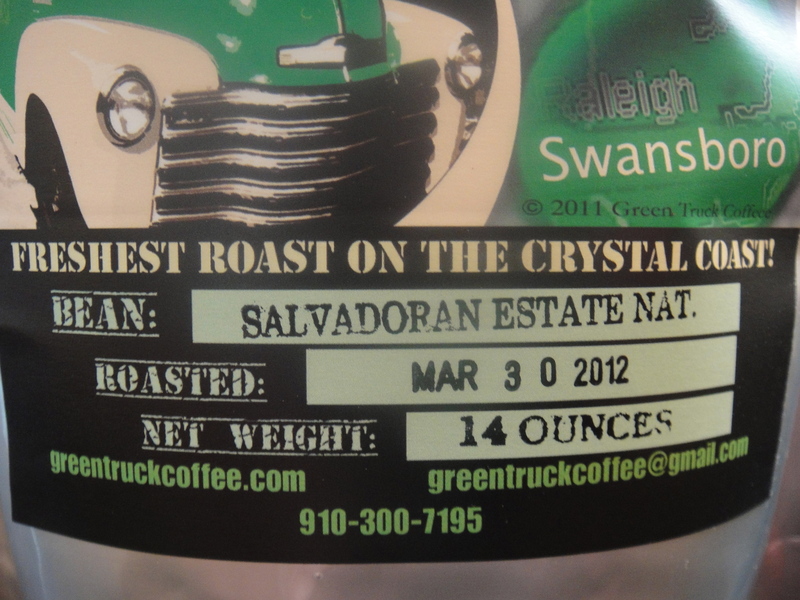 If it does not have a roast date listed (most do not), the roaster has something to hide, i.e. it was roasted months, maybe years ago. Some slick brands substitute a “use by” date at least a year away–yuck! I once read that the average age of the bags of coffee sitting on shelves in shops and stores is at least 3 months old. If it comes already ground, the coffee is really stale–a freshly roasted bean has about 4 days of freshness left after being ground. If it does not list the name/origin of the beans, then the roaster probably used the lowest grade of beans (class 5 on a 1-5 scale, 5 being the highest percentage of defective beans). Only the really big coffee corporations can even buy these incredibly cheap pallets of defective beans (they actually store them in warehouses near docks and sell and trade them on the commodities market). Our GTC beans are class 3 and 4, premium beans, naturally processed, organic, fair-trade, grown at altitude, rain forest friendly and much more (see our individual bean descriptions). As green (unroasted) beans (they are actually “seeds”), their freshness life is about 3 years. We buy our beans right after they are harvested (which is why we are waiting till Fall to get more Organic East Timor right now) and roast them before the next harvest comes in the following year. Corporate speculators, by contrast, leave their beans on docks and in warehouses for years, many times, waiting for supply/demand curves and commodity prices to improve their bottom line. If it does not state where the beans were roasted, they were probably roasted hundreds or thousands of miles away and they had plenty of time to get stale while being processed, stored and shipped. 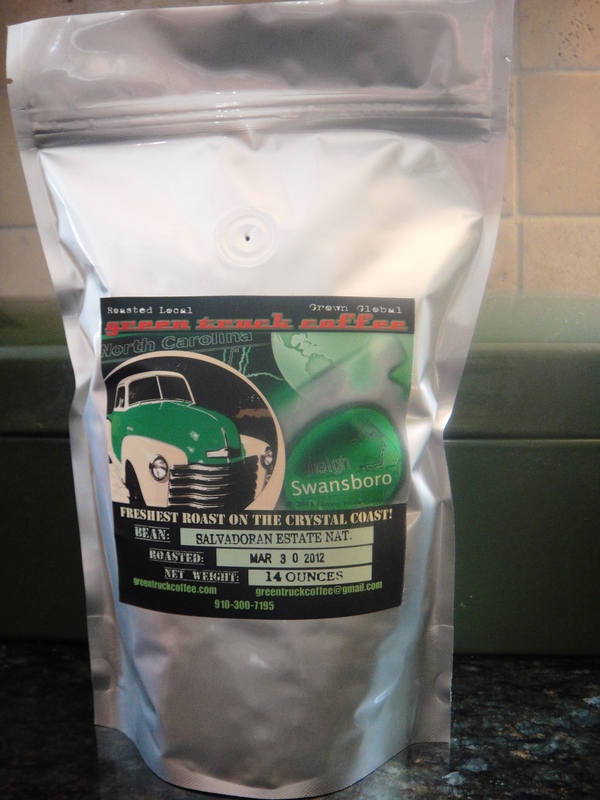 If it does not have a resealable zip-lock top, the roasters cut costs and do not care about freshness. 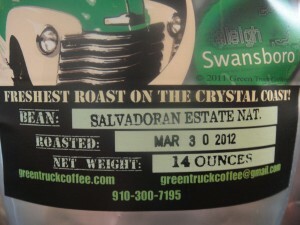 If the bag is made of paper rather than Mylar, the roaster cut costs and does not care about freshness. If the bag is not a stand-up pouch, the roaster cut costs. If the label is boring, the coffee is probably boring. Pride of craftsmanship shows.